Once upon a time never looked so dreamy. 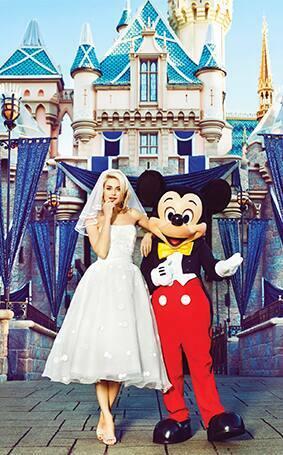 We teamed up with Weddingbells to make some fairy tale magic come true at our recent Disneyland editorial photo shoot. From the icy goodness of the Elsa inspired wedding dress to the dramatic headpiece spinning with fun on the Mad Tea Party, your happily ever after is sure to be every bit sophisticated as it is enchanting. Browse our romance-inspired venues at Disneyland to bring your own dream wedding to life and be sure to head over to Weddingbells to see the vendors used for this shoot.